Are you creating online video content? Are you optimizing online video effectively? Are you wanting to build strong always-on online content? 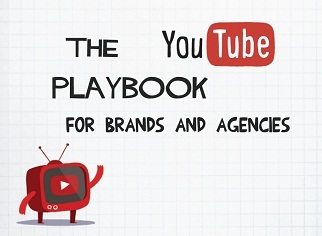 If so, then the latest tips come in the form of this YouTube Playbook for marketing managers. The YouTube Playbook that has been produced by YouTube’s owner, Google, and pulls together best practice examples from across the globe and across dozens of industries. It explains the processes to really help your YouTube strategy fly, and here at the Digital Training Academy is part of our deep dives in video content design. The Playbook is split into a number of practical sections that illustrate how you can make an always-on video strategy that delivers real value. •	How to use and develop a successful branded YouTube channel? •	How to design content and program calendars? •	How to optimize the content so it is discovered through search? •	How to build a community through YouTube and engage with consumers? •	How top integrate branding and calls to action that work and deliver real value. •	Using analytics with YouTube so that you can tell when you are winning and real optimize to deliver the highest ROMI. Once you’ve downloaded the playbook, if you have any questions, contact your tutor here at the Digital Training Academy.